When looking for work as a truck driver, you might think you need to have a load of experience under your belt before you can land a good position. Yes, it is ideal to have a lot of years behind you but everybody has to start somewhere. If you’re an inexperienced truck driver in Ohio, you can find work, we promise. When you don’t have a lot (or any) experience in truck driving, your first step is to get licensed. You need a CDL to operate a truck in any state so going to a CDL school to get proper training will benefit you greatly. Complete the course, pass the written and behind-the-wheel exam, and you’ll prove that you’ve got what it takes to be employed in this industry. A lot of CDL and truck driving training schools offer job placement services to graduates. This can help you out immensely when you’re freshly licensed and don’t know where to turn. Just make sure the school doesn’t automatically place you in a position upon graduation as this is the M.O. of some less-than-stellar schools out there. Instead, look for a school that offers a full-breadth of training, financial assistance options, and job placement help once you’ve completed the course. If you still need further assistance, know that additional help is out there for you. CDLOhio.com specializes in helping truck drivers in Ohio, new and old, find jobs that provide them with the stability and security they need. To get started, all you have to do is give us a call at 1-800-TRUCKER today. We’ll connect you with the right school and the right job to move your truck driving career forward. 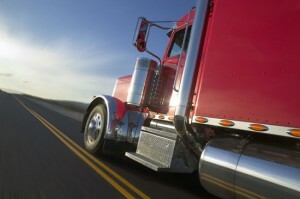 Are you considering getting your CDL in Ohio? If so, you’ve come to the right place. We put together the essential steps you need to follow to be fully licensed in the state. You can get a manual about the steps you need to take to get a CDL in Ohio at your local DMV. In this manual, you will find practice test questions and answers to help you study up for the exam. If you are pursuing a Class A CDL, expect to familiarize yourself with general knowledge questions about truck driving, along with several questions about air brakes and combination vehicles. It’s likely that you’ll need to make an appointment to take the written test for your temporary CDL. Please be specific when making this appointment and indicate if you are applying for a class A, B, or C license and indicate any endorsements that you will be applying for as well. You also need to complete an eye test to see if you have good enough vision to be a licensed driver. You can take the written portion of the exam in Ohio up to four times. You need to score 80% or higher to pass. You will then get your temporary license. You only have to wait two weeks before you can try to pass the CDL exam in Ohio, however, it’s highly recommended that you undergo truck driving training first. This will allow you to practice both written portions of the test and the behind the wheel test. Once you’re done with your training, you can set up an appointment to take the skills test. Should you pass, you can go to a DMV within 10 days to get your CDL. If you want more information about truck driving training or CDL training, get in touch with CDLOhio.com today by giving us a call at 1-800-TRUCKER. If you’re interested in going to truck driving school in Ohio, you should probably have a good idea as to what will happen in class. Otherwise, how can you be certain this is the right career path for you? Let’s spend some time discussing what the classes will teach you so you can determine if truck driving school is something you want to pursue. For the portions of truck driving school that occurs in a classroom at a desk, you’ll learn all about the rules and regulations of the industry. You’ll learn about permits and the rules of the road. You’ll learn about the different parts of the truck and how it works. You’ll also undergo logbook training. 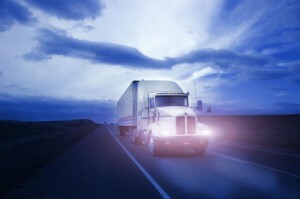 You’ll learn how to inspect a truck and determine if its safe to drive. Usually, the classroom portion of CDL training lasts about 40 hours and covers a wide span of information. Next, you’ll be out on the open road behind the wheel of a truck. You’ll learn all the basics of driving different sized trucks and trailers. You’ll learn shifting, driving, and managing a large trailer. How Does Ohio Truck Driving School Prepare Me? By the time you complete training at an Ohio truck driving school, you’ll be ready to take the CDL exam. This will qualify you for a license. After that, you can get a job in this industry. Finally, you’ll be able to take to the open road and drive a truck for a living. It will take commitment on your part and some discipline but you’re going to wind up with a fantastic career as a result. Just fully engage in the course, focus, and pass the exam. 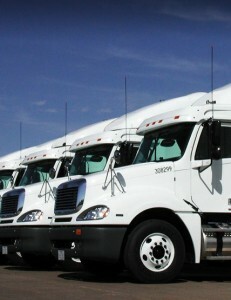 If you’re interested in learning more, visit CDLOhio.com now or give us a call at 1-800-TRUCKER. 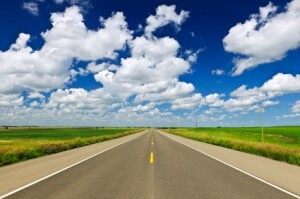 We can help you find the right Ohio truck driving school so you can get on the right path today.